Nobody does south like OvRride… looking to head south? We’re going way south, so far down its still winter. We’ll be setting off for Argentina in August for the quintessential South American experience. 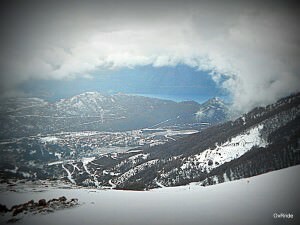 Argentina is known for its beautiful Patagonia region and Bariloche is right at the center focus. You’ll never find this mix of epic mountain terrain, mellow powder rollers, restaurants, nightclubs, and a happening local scene. This is truly the most friendly foreign destination OvRride travels to. Don’t miss this epic excursion! Direct flight (LAN Airlines) leaving JFK Airport August 9th Friday evening at 8pm. Departing from the hotel to the Airport August 17th Saturday 9am. We arrive in Buenos Aires on Saturday and check into Buenos Aires Hotel. This is our chance to check out the city, grab some dinner and take in the nightlife. 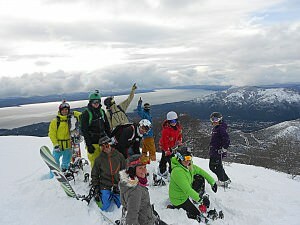 Don’t forget, we have a flight to catch Sunday morning to Bariloche. 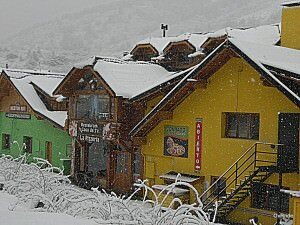 We’ll be staying in Bariloche’s best local lodging, Club Del Cerro . The apartments at Villa are modern and a short walk from the lift. On the premises you’ll have access to a pool, hot tub, restaurant and the most comfortable quarters at the mountain. If you’re looking for a good time out on the town, Bariloche will not disappoint. 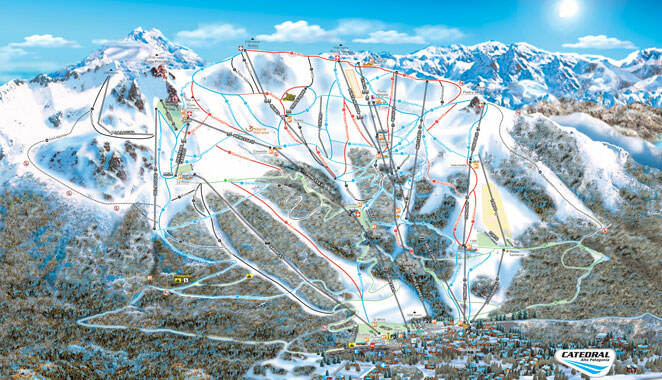 The bars and clubs both on the resort and downtown are rocking until the sun comes up. If it’s a party you’re looking for… you’ll find it. If a quieter stroll around is more your speed, the downtown area is a great walk with shops, restaurants, cafes with a quaint European feel. You won’t find a more inviting group of locals. 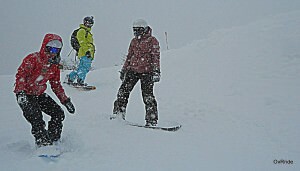 Bariloche boasts some of the best snow conditions in South America. There’s enough diverse terrain to cater to any level: Smooth well kept groomers, trees flush with powder, and wide open back country bowls. Hike up the CAT track to ride the mountains namesake “de Catedral”. Friday August 9th – Flight Leaves from NYC to Santiago Chile. Saturday August 10th arrive in Buenos Aires, Argentina. Saturday August 17th – Shuttle to the airport leaves at 9am SHARP! 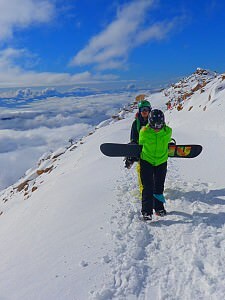 This entry was posted in Lara's Blog and tagged Argentina, Bariloche, Buenos Aires, Catedral, Cerro de Catedral, Nightlife, South America, Summer skiing, Summer Snowboarding. Bookmark the permalink.